Assistant to the Secretary for Rural Development Anne Hazlett announced that USDA is investing in infrastructure projects in a dozen states (.pdf) to improve e-Connectivity in rural communities. 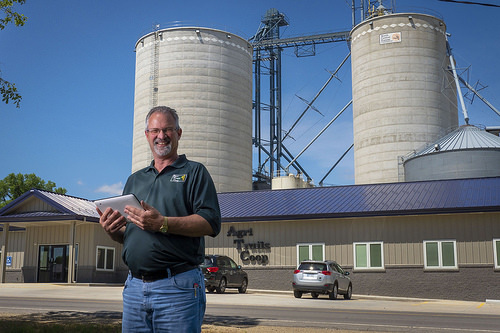 Rural business leaders like Mike Pauley of AgriTrails Coop in Hope, Kansas rely on modern high-speed e-Connectivity to keep the doors open. According to a 2018 report by the Federal Communications Commission, 80 percent of the 24 million American households who lack reliable, affordable, high-speed internet are in rural areas. USDA’s investments in broadband infrastructure are helping transform rural America, providing innovation and technology to increase economic competitiveness and opportunities. USDA is investing $91 million through the Telecommunications Programs. The 19 projects will benefit more than 27,000 businesses and households in Arkansas, Georgia, Iowa, Kentucky, Minnesota, North Carolina, North Dakota, New Mexico, Oklahoma, Tennessee, Utah and Virginia. The Arkansas Rural Internet Company is receiving a $19.9 million loan to deploy a fiber broadband system to more than 5,000 subscribers in Dallas, Calhoun and Ouchita counties in rural southern Arkansas. Approximately 25,000 people in the company’s service territory can benefit from broadband access. In New Mexico, the Tularosa Basin Telephone Company Inc. will use an $11.8 million loan to improve telecommunications for nearly 10,000 customers in the Carrizozo, Cloudcroft and Tularosa exchanges. Tularosa will build 176 miles of fiber-optic facilities, construct new fiber-to-the-premises (FTTP) facilities, and upgrade digital subscriber line (DSL) and FTTP electronics. The improvements will enhance the company’s services and provide subscribers voice and higher broadband speeds. The Choctaw Nation is receiving a $2.9 million grant to construct a hybrid fiber and fixed wireless system on unserved portions of Le Flore County, Oklahoma. This project will increase access to economic development, health care, educational and public safety opportunities for 300 households and 15 businesses. It will include a community center in the Hodgen School where the public can access computer terminals and WiFi service free of charge. 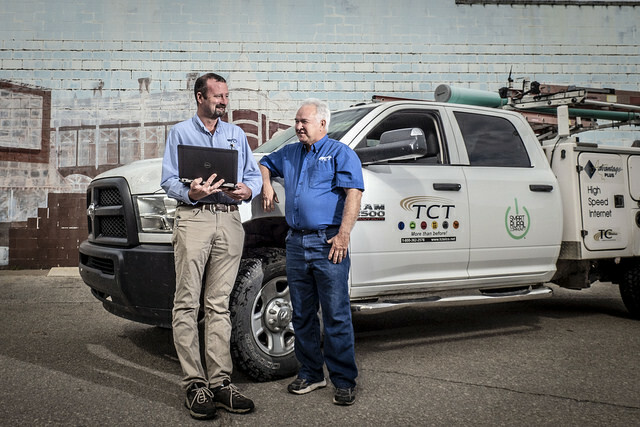 Tri-County Telephone Association brings broadband service to businesses and homes throughout the Flint Hills region of Kansas. To view the report in its entirety, please view the Report to the President of the United States from the Task Force on Agriculture and Rural Prosperity (.pdf). In addition, to view the categories of the recommendations, please view the Rural Prosperity infographic (.pdf).